Imagine waking up to find a strange man roaming around your home. Nicolas Cage just lived the nightmare. TMZ is reporting that Robert Furo was arrested at Cage’s home in Newport Beach at 2:00 AM yesterday morning, after the actor woke up and found the guy wandering inside his digs. Sources tell us when Cage confronted the guy, he realized that the jacket Furo was wearing was actually his. Creepy! Newport Beach Police told TMZ that they received a call at 1:27 AM from a gate guard who said he received a call from Cage, saying that a strange male was in his home. 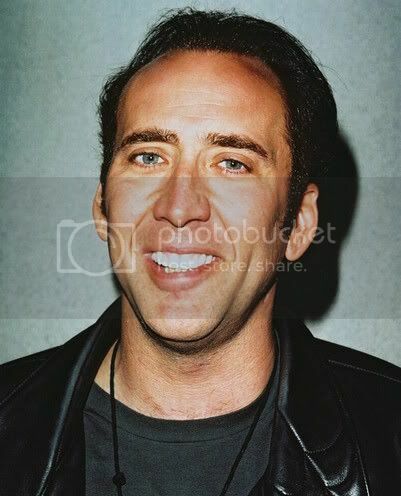 Cage’s wife and son were in the home, when Cage, without incident, escorted the intruder into the backyard, where he was arrested a short time later by police. There were no signs of forced entry, and no altercation. Amazing. The Orange County D.A. has just charged Furo with burglary. He’s currently being held in the OC Jail on $50,000 bail. A short time later, the O.C. District Attorney requested that bail be raised to $100,000, and the judge granted the request. Furo, 6′ tall and 199 lbs., listed his occupation as “tailor,” and was arraigned minutes ago on the felony burglary charge, to which he plead not guilty. He was then remanded to custody. He is due back in court for a pre-trial hearing on October 10.? See documents ?